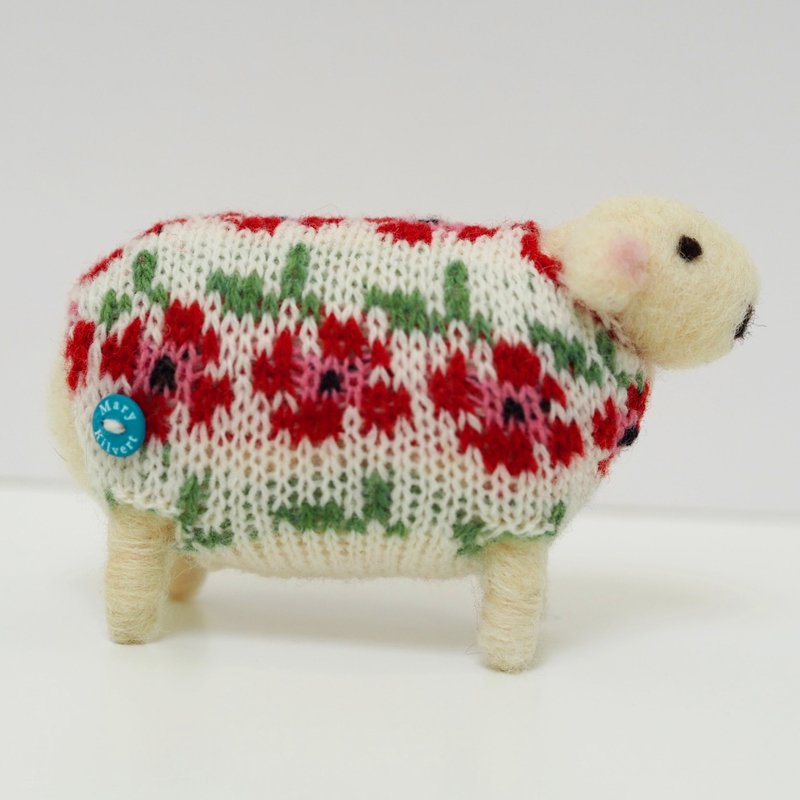 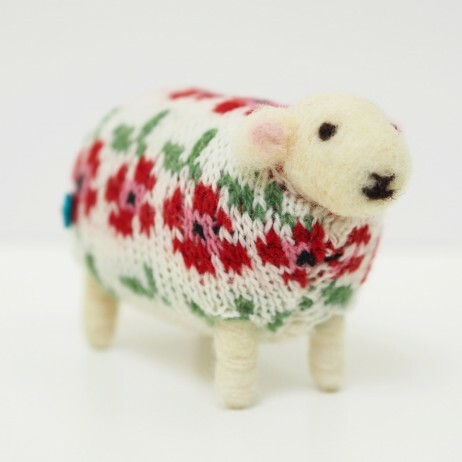 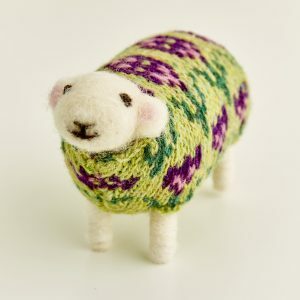 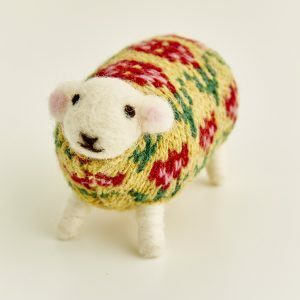 Category: Mother's Day, Spring, Easter, Handmade Sheep. 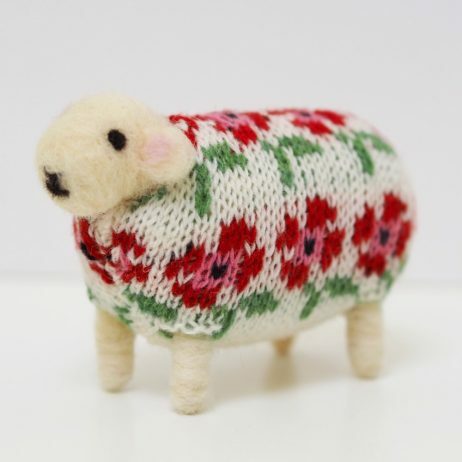 This sheep’s name is ‘Poppy’. 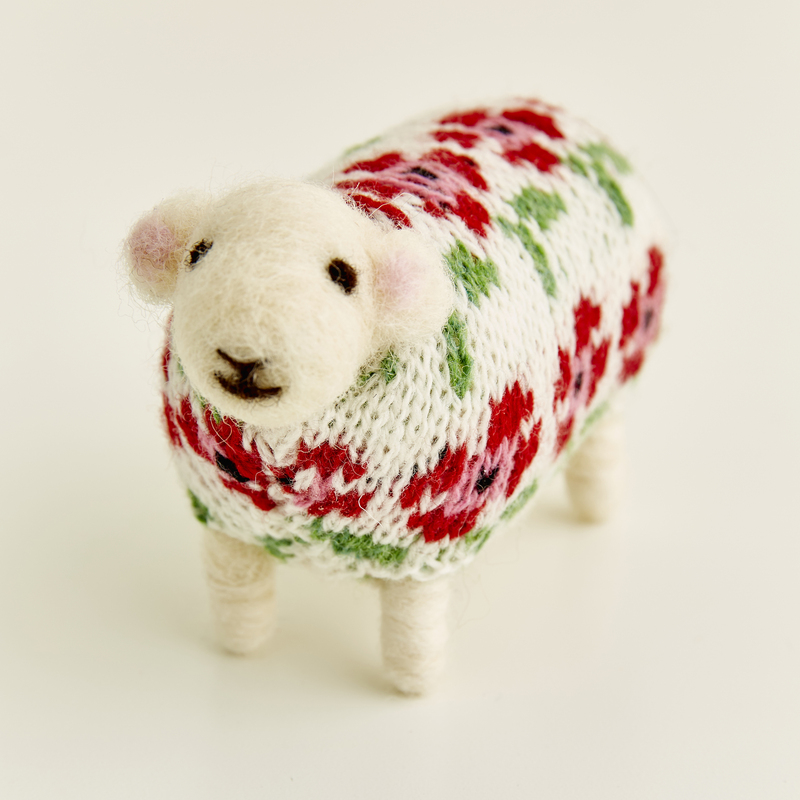 Poppy wears a beautiful jumper with pretty red flowers on a pearl background. jumper made from soft Scottish lambs wool and has a signature button sewn into the back of the coat.